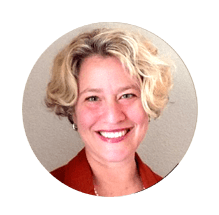 Talia Eisen is an Organization Development (OD) Consultant and Executive Coach, with a Master’s degree in OD and Psychology from Sonoma State University. She has worked with clients in such fields as broadcasting, technology, education, banking, the health industry and the non-profit sector. Talia specializes in cultivating great leadership in individuals from the executive level to the front line. Adult learning, excellent communication and systems scope awareness are the tenets of her work. With her background in the creative arts and her 17 years experience working in corporations and for herself, Talia has a broad perspective on the needs of businesses and individuals within those systems. Talia brings her strong interpersonal skills and leadership experience to her consulting and executive coaching work. In her role at MCS, Talia does technical writing, supports communications projects, and provides translations in Spanish.